Big Rivers and Gator Bayou will sit on 80 acres. The waterpark portion will comprise the largest lazy river in the Houston area; the largest interactive play structure in Texas; a wave pool capable of generating the tallest waves in Houston; and a variety of waterslides and activities for guests of all ages. Guests will even be able to learn about Texas’ rivers through entertainment, interactive activities, and theming. There are activities for families, thrill seekers, and students at Big Rivers Waterpark. Gator Bayou Adventure Park will bring a new outdoor experience to the Greater Houston Area, open year round. Immediately adjacent to the waterpark, Gator Bayou will provide zip lines, challenge courses, nature trails, a seven story free fall tower, additional water attractions, and eco-tourism activities. Gator Bayou also incorporates educational aspects regarding Texas wildlife with an alligator habitat as a focal point. Guests will also be able to relax with activities such as cane fishing, a petting zoo, pony rides, and a giant maze. A premier team of contractors, engineers, and architects are working to bring Big Rivers Waterpark and Gator Bayou Adventure Park to Grand Texas by Summer 2018. Solid Bridge Construction, based in Huntsville, Texas, is the general contractor. Engineering and design work is provided by WET Engineering, Ward, Getz & Associates, Bleyl & Associates, and Quest Engineering. Architectural services are led by Van Horn Reed & Associates. 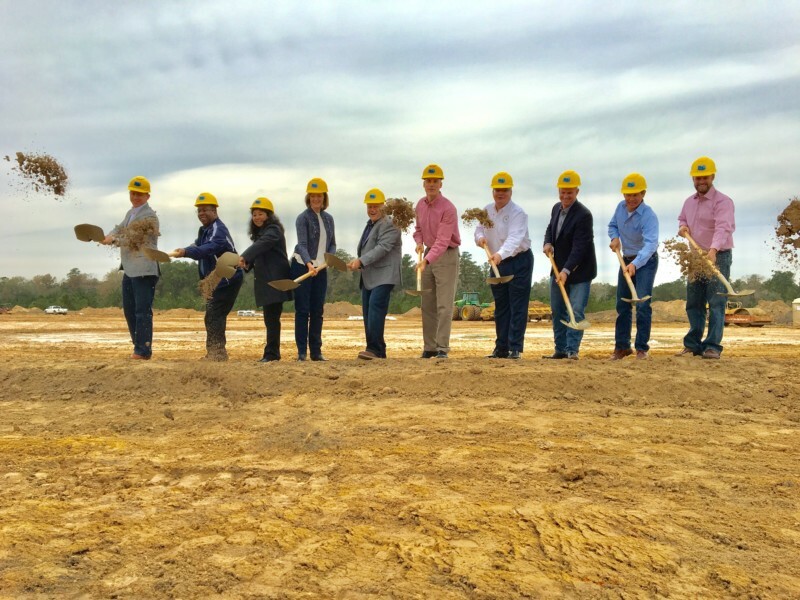 Additional development within Grand Texas includes recently-begun construction of a Best Western Premier hotel along Interstate 69, which is also expected to open this summer. A 24-hour urgent care and a casual dining restaurant have also taken steps to begin construction.